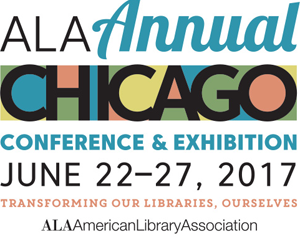 I somehow managed to squeeze 28 hours in at ALA 2017...after a busy work week & right before leaving for ISTE 17 in San Antonio. In the spirit of full disclosure, I did sleep 4 of those hours. Yes that's right, it was a whirlwind in Chicago but one I was thrilled to be a part of. Chicago is within driving distance for me at a mere 2 1/2 hours away, so I knew I couldn't miss out! I LOVED being able to see and connect with friends, authors, and hear Sarah Jessica Parker speak but a great highlight was being a part of presenting the 2017 AASL Best Websites after serving on the committee this past year. Be sure and check out the full list of 2017 Best Websites for Teaching and Learning! It's a great resource for you and your students. I also loved celebrating my friend (& official ALA17 conference buddy) Andy Plemmons as he was recognized for his AASL Social Media Superstar award for Sensational Student Voice! Read more about the AASL Social Media Superstar awards here. Thanks ALA for a great time! So glad to be a part of a day with amazing colleagues & leaders in the library field.